Asthma is the most common chronic respiratory disease, affecting up to 10% of adults and 30% of children (JACI, 2011). 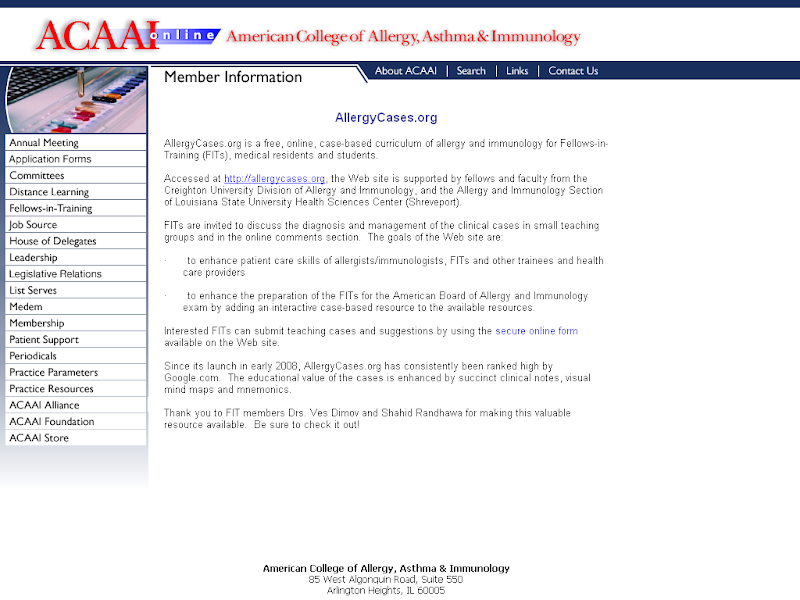 Approximately 9% of the U.S. population has asthma - 9% of adult asthmatics have aspirin-exacerbated respiratory disease (AERD) (http://goo.gl/FIeE9). Episodes are associated with variable airflow obstruction that is reversible. Asthma diagnosis (click to enlarge the image). Cough occurs in most patients with asthma and may be the only symptom in cough-variant asthma. Most patients with asthma have rhinitis suggesting the concept of ‘one airway one disease’ or ‘united airways’. However, not all patients with rhinitis present with asthma. severe obstruction may not be able move air fast enough to generate vibration and audible wheezing. Pulmonary function tests (PFTs) are the most objective way to document the diagnosis of asthma. PFTs (click to enlarge the image). There should be no cough, glottic closure or air leak during the forceful exhalation for 6 seconds. The best effort of 3 is used. All efforts should have forced vital capacities (FVC) that are within 5% or 0.1L of each other. Individual volumes are called volumes whereas the combination of volumes is called a capacity. FEV1 is the most commonly used and best-standardized measurement in spirometry. FEV1 is effort-dependent, similary to PEFR. The criteria for reversible bronchoobstruction to diagnose asthma include improvement of 200 ml AND 12 % (not 200 ml OR 12%) after bronchodilation -- both have to be present. The change can be in either FEV1 or FVC. PEFR is highly effort dependent, similarly to FEV1. PEFR is less reproducible than FEV1. Patients should determine their personal best peak flow rather than relying on a chart of predicted peak flows based on height and age. PEFR normally vary about 5%, with the evening values higher than morning values. When asthma is uncontrolled, the normal diurnal variation in PEFR are exaggerated, and the values may vary 20-30%. The methacholine challenge test mesaures bronchial hyperreactivity in response to a provoking agent (metacholine). 95% of patients with asthma have a 20% reduction in FEV1 when given 5 breaths of 25 mg/mL of methacholine. Metacholine challenge test has a 95% negative predictive value in excluding asthma. In other words, the utility of metacholine challenge test is to exclude asthma not to diagnose it. Methacholine challenge test is generally safe. Methacholine is not as sensitive to diagnose asthma as previously thought, according to a 2011 review published on Medscape (http://goo.gl/ajn0S). Most children with asthma do not need a sweat chloride or genetic test to rule out cystic fibrosis. The most common masquerader of asthma is gastroesophageal reflux disease (GERD). GERD triggers wheezing by causing esophagitis rather than aspiration. Differential Diagnosis of Asthma in Children (click to enlarge the image). Severe asthma in children - different diagnoses and management (click to enlarge the image). Many congenital conditions are diagnosed before the patient becomes an adult, and therefore the differential diagnosis of asthma in adults consists primarily of acquired conditions. Beta-blockers can trigger an asthma exacerbation even when used as eye drops for glaucoma or when a selective beta-blocker is taken. Differential Diagnosis of Asthma in Adults (click to enlarge the image). Allergy and Immunology MKSAP, 3rd edition. Links between allergic rhinitis and asthma still reinforced. P. Demoly, P. J. Bousquet (2008). Allergy 63 (3), 251–254. Recently Updated National Institutes of Health Asthma Treatment Guidelines: Important Clinical Applications, Part 2. Medscape, 11/2008. APDIM E-Learning Task Force: Cardiac Auscultation, Chest X-Rays, Electrocardiograms, Patient Images (Dermatology), Pulmonary Function Tests, 2009. Postoperative Tracheal Stenosis. NEJM, 01/2010. Pulmonary Function Testing. Cleveland Clinic Disease Management Online Textbook. Asthma from a pulmonologist perspective, Dr. Muthiah Muthiah. Podcasting Project for the UT Internal Medicine Residency Program. Video: Dr. Cherry Wongtrakool Discusses Interpretation of Spirometry Values in Obstructive Lung Disease. InsiderMedicine, 03/2008. Video: Dr. Cherry Wongtrakool Discusses the Interpretation of Post-bronchodilator Test. InsiderMedicine, 03/2008. Video: Cherry Wongtrakool, MD Discusses Patterns of Restrictive Lung Disease on Spirometry. InsiderMedicine.